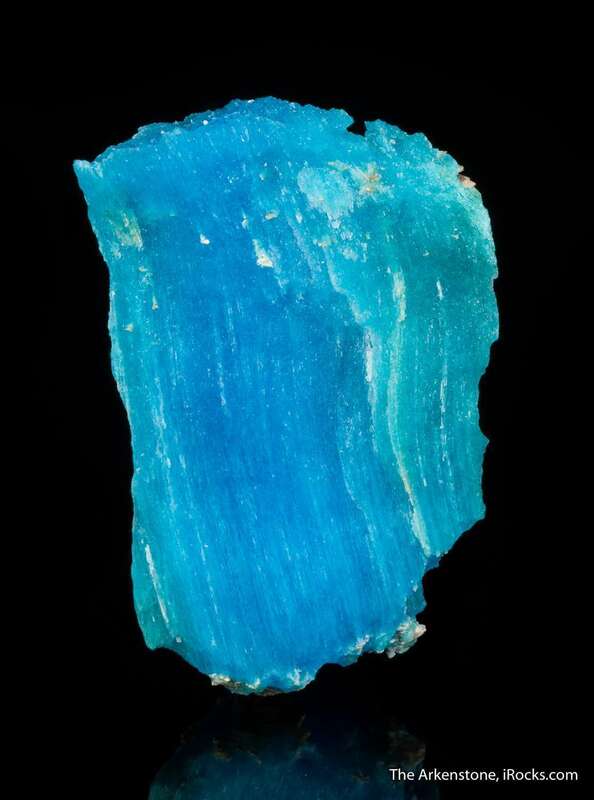 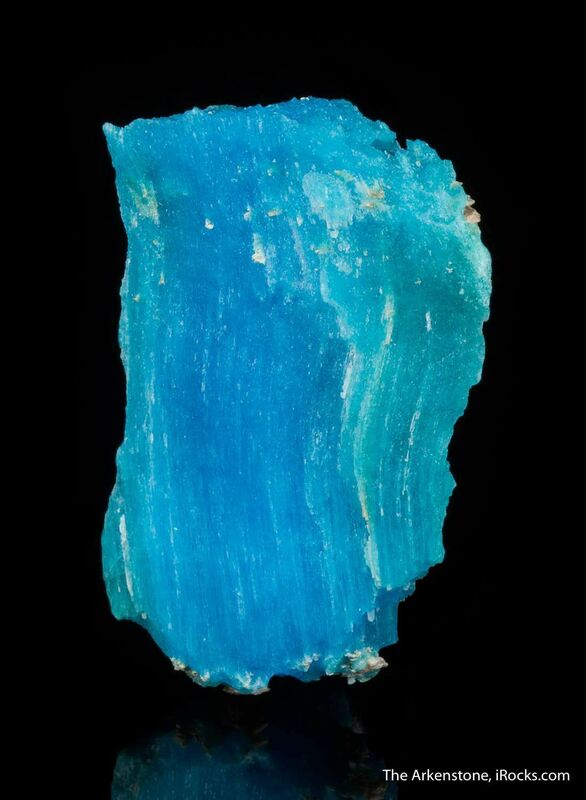 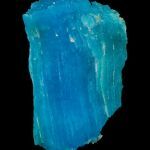 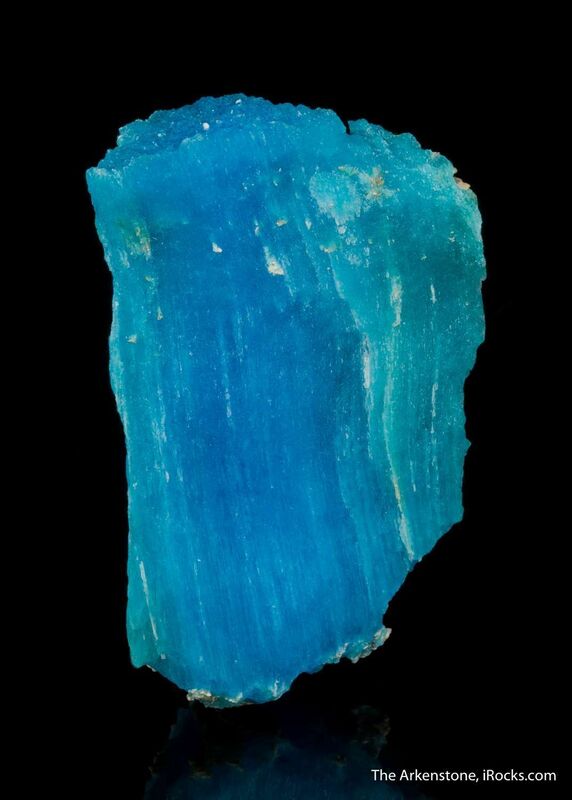 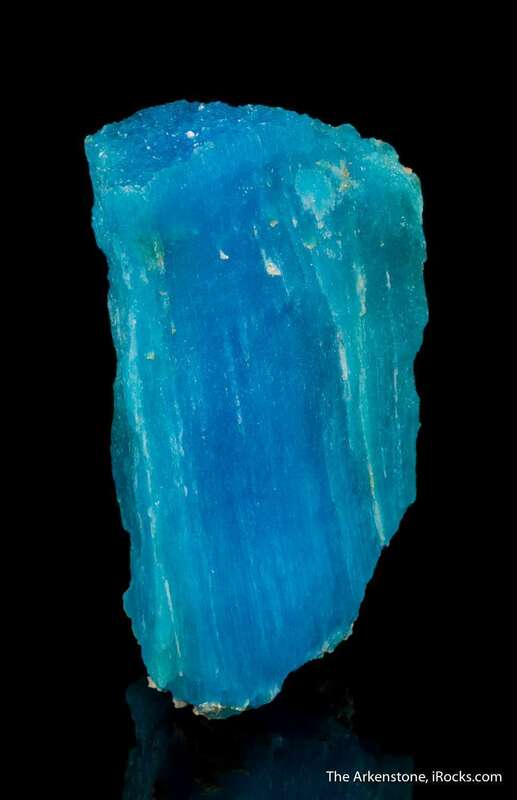 From the type locality of Chuquicamata, krohnkite is an uncommon hydrated sodium, copper sulfate, and good crystals ONLY came from the type locality of Chuquicamata, Chile. 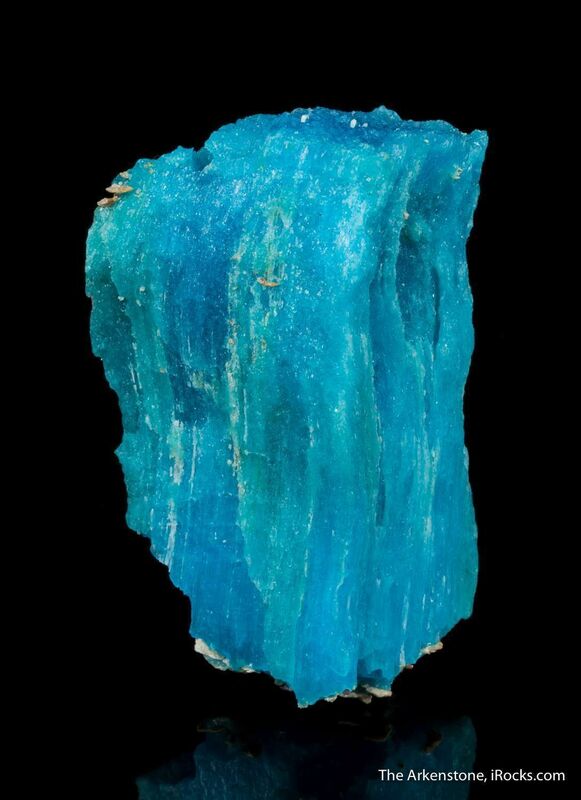 This was a great mine, totally unique in its chemistry, that once produced an amazing suite of specimens. 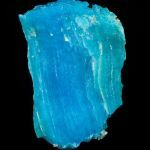 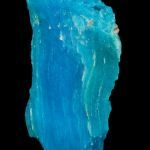 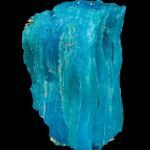 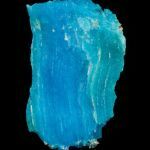 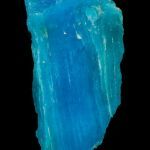 Krohnkite is particularly interesting; it is lustrous and translucent and exhibits the most beautiful pure saturated blue color. 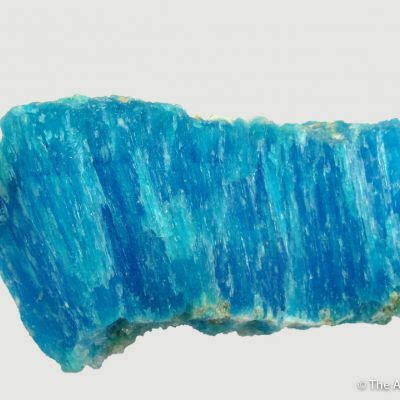 This is just a significant, old example of a great species. 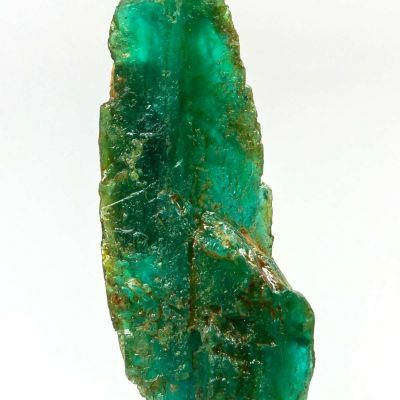 This specimen is mostly an unusually large vein filling fragment that is terminated at the ends by contact terminations where it grew against the flat rock on either side, and most are like this where it is frankly nearly impossible to tell if the shape on the sides is natural or is cleaved from further contacts in its growth - but in any case, this is "how they are made" in nature. 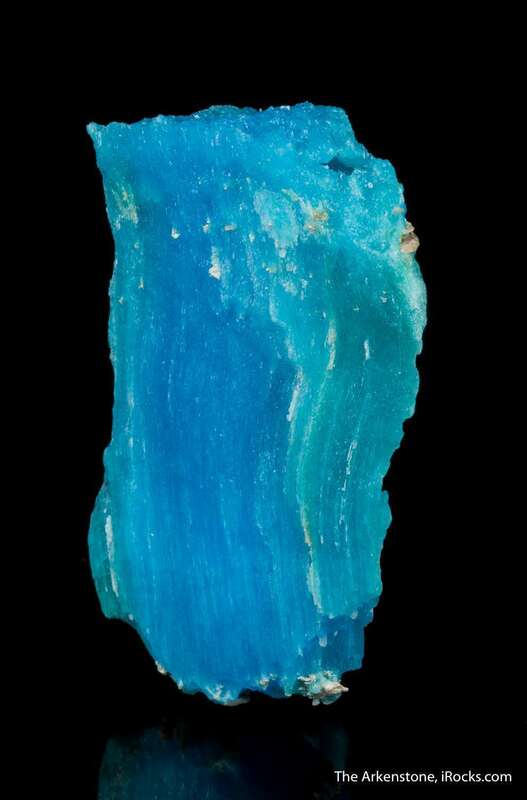 Visually mesmerizing!